I can’t remember how many times I’ve had to search online for a product or service I otherwise didn’t know how to find. When I needed to find a hotel to stay in or when I searched for a local flower shop, I went straight to Google. It was the ads that pointed me in the direction I needed to go. When it came to the flower shop, I found and picked the company I would use in less than fifteen minutes. I based my decision on their ad, then on their website and then on their prices. It was the ad that got my attention first. Thanks to marketing automation, I discovered a shop I never would have come across otherwise. In this day and age, a company is unlikely to survive without some practical knowledge in online advertising. A good-looking webpage for your business and attention-grabbing ads are important for attracting online customers but even more important and, maybe, more mysterious is how to find potential customers online in the first place. After all, the internet is impossibly big and not every person who sees an ad is necessarily interested. Not all paid ads result in a click. According to Moz, it’s about 3.4%. But that number jumps to 65% for consumers already looking to buy a product and consumers who click on paid ads are 50% more likely to purchase than those who only click on organic results. It’s also important to make a consumer aware of your business. 78% of mobile searches, for example, end in an offline purchase. If your ad is targeting the right people, offers the consumer what they’re looking for, and is well-made and interesting to look at, it is more likely to be clicked on. Let’s go back to the flower shop example and look at what appeared on Google. One of them advertises same day delivery, targeting consumers who are in need a gift immediately. The second ad mentions their deal of “$10 off Same Day Delivery” and the word local. Consumers looking for a good deal or those looking for someplace local might be attracted to that ad. Using numbers is a good way to attract attention. It also has high ratings and a lot of reviews, giving it credibility. Not every flower shop is going to have that many reviews and so it gives the company a competitive edge. Advertise what makes your company different and what makes you stand out. The more niche you are, the easier it will be to find the right kind of customers and narrow down the best keywords to use in your campaign. Businesses can use search engines like Google to hone in on customers with the most potential—those who are already looking for their services. If you own a flower shop and a potential customer looking for an anniversary present finds your website or ad through Google, you can guess you’ve chosen the right keywords to attract the right person. If you’re attracting people looking for gardening supplies and you don’t sell gardening supplies, you need to take another look at your chosen keywords. Sometimes unexpected keywords do better than other seemingly more common ones. How do you know which keywords will attract the right kinds of customers and how do you keep those customers loyal in such an impersonal space as the internet? Keep data on which keywords work best but also think of your customer as an individual and not an archetype. It’s important to understand your potential and current customers as individuals in order to “maintain a very good relationship with… existing customers and also to be able to anticipate their future needs,” according to Raluca Dania Todor, a marketing professor at Transilvania University. The highly personalized nature of online marketing is one of the reasons it works so well. Think to yourself: what does this person want and what would be useful for them? It’ll help you figure out what kinds of keywords your kinds of customers will be using and it’ll put the focus on personalization. It may seem impossible to provide this highly personalized experience to every customer, which is why Todor also emphasizes the importance of using marketing automation. Marketing automation is actually a great way to quickly get to know your customers and maintain relationships with them. It collects information that would otherwise be difficult to get and offers ways for you to use that information for the company’s benefit. What is marketing automation and how does it work? a category of software designed to support marketing processes. To elaborate, it’s software that makes necessary processes for online marketing easier to manage and it makes buying and selling online more efficient. The purpose is simple but significant. The implementation and strategy is maybe the more overwhelming part. To use marketing automation to its full potential you have to learn how to choose the best and most attractive keywords and how to best budget for pay per clicks. Fortunately, marketing automation is a great tool for collecting information you need to find these things out. You can see if a keyword isn’t working or if an ad isn’t getting attention. Then, you can tailor your keywords or bidding times to reflect the information you’ve collected. Eventually, you’ll have collected the right information to really put the software to use. Really, marketing automation is all about collecting data and learning how to use it for the good of your business. Marketing automation software, like Customer Relationship Management (the main software tracking and keeping current customers) and Lead Management (the software helping businesses acquire new customers), collect information, analyze customers, and tracks sale processes. This is how you can learn about your customers quickly and tailor their online experience to maximize the chances of a sale. The data tells you what they’re looking for, what they need to complete the sale, and if it’s easy and personalized enough for them, the customer will likely return. Depending on which one you choose, Customer Relationship Management (CRM) software can be on the pricier end. Thankfully, there are many options both for small businesses or startups with a limited budget and for growing businesses that require more advanced software. 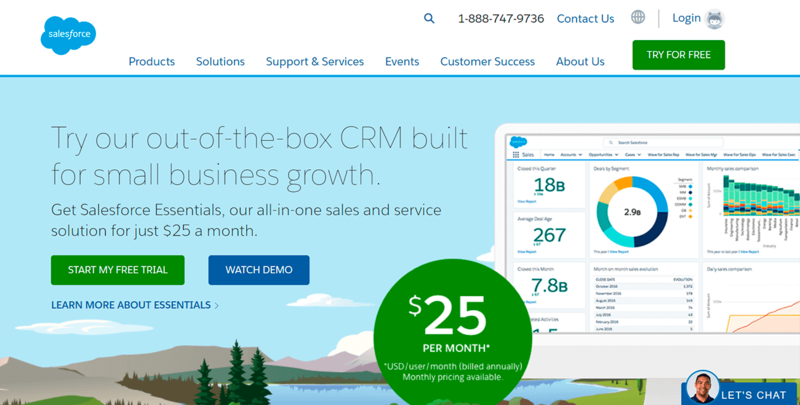 Hubspot’s CRM software, for example, is free though not as advanced as other options such as Salesforce. Salesforce leads the CRM market with about 14%, according to Brianna Butler and Megan Carignan in their essay “Developing a CRM Strategy for Small Businesses.” It’s on the pricier side compared to some other software, ranging from $5 to $300 per month for each user, but it’s also more advanced and meant for larger companies. Small businesses should look for less expensive CRM software tailored to their needs. Often times, CRM software will include functions for lead management as well which makes it somewhat easier to manage and more affordable. CRM and lead management make it easier to automate campaign management because it tracks what times are best for advertising and what keywords are most effective. Get rid of keywords that attract the wrong people or no one at all and increase bids on the ones that attract the most and best customers. Bids refer to how much money you would like to put into a particular ad to make sure it’s listed on the first page of a search engine. Pay-per-click (PPC) is a major part of automated marketing and online marketing in general. When someone clicks on your paid ad, you pay some amount of money to the PPC platform. So if someone clicks on your Google ad, whatever you bid goes to Google. Automation software will track which costly keywords aren’t being clicked on or attracting attention and which successful keywords might require a higher bid. Automated marketing can ensure your ad appears on the first page by setting your bids to increase as necessary, though you can set a limit in case it exceeds your budget. Being on the first page is definitely an advantage. You’ll get more traffic and look more relevant. Getting your ad on the first page is only one step of the process though. There are certain tactics you can use to attract attention to your ad. As mentioned earlier, not a lot of people like to click on ads unless they’re already looking to buy. In addition, they only click on the ones that look like they’re worth it. First, let’s talk about what makes marketing automation so effective. Search engines have become an indispensable bridge between customers and businesses. With the right combination of automated marketing strategies, sponsored results catch potential customers in their best moods. They’re already looking for your business, or they’re at least interested in similar services or products, and you’re meeting them halfway. A study done by Dr. Artta Bandhu Jena and Snehasis Panda found that only 15% of companies were unsuccessful while using marketing automation compared to 65% that were somewhat successful and the 20% that were very successful. Remember: marketing automation is a tool that must be used correctly to yield the best results. A good marketing strategy and a grasp on how to use the information you gather from automation software will help make you more successful. The automation of repetitive business tasks makes more time for your marketing staff to focus on things too difficult to automate. Of course, there are things that marketing automation can’t do—decisions that need to be made by a real person. Your team can focus on making those decisions instead of manually updating tasks that can easily be taken care of by automation software. Utilizing the information collected through automated software also shortens how long you have to spend getting to know your customer and makes it easier to keep customers too. Now, you can more easily understand your customer’s needs and anticipate what they might need in the future. Some software allows you to see their sales process and what keeps them interested. Or, if they started and never completed the sale, you can see where they decided to turn away. If it happens repeatedly, then you know there’s something to fix. A lead, in the words of Todor, is when a marketing campaign has generated contact with a potential customer. With the information gathering software we’ve covered in this article, a business can pinpoint the best ways to make contact with the customers with the biggest potential. Visibility increases the possibility of more leads and in leads ending in a sale. Automated marketing can ensure your ad is seen on the first page (if you’re willing to put in the money) and it makes you much better at targeting the right people. 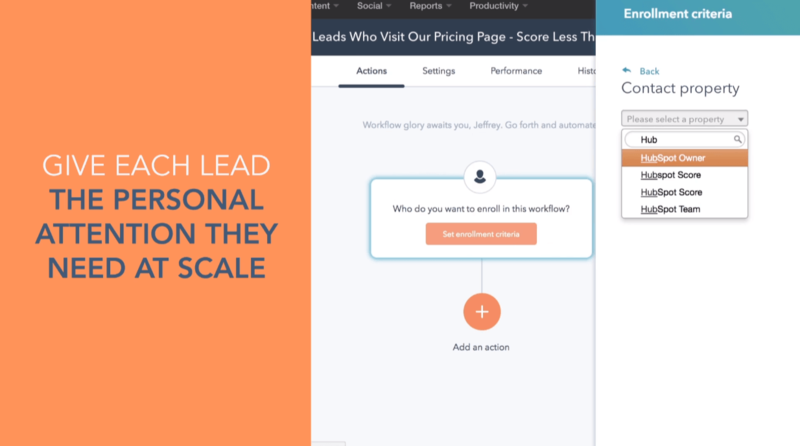 The study done by Jena and Panda showed that when a business introduced marketing automation, lead generation—catching potential customers’ interests—increased by 35% and lead conversion—turning those interests into sales— increased by 55%. Those are not insignificant numbers! Marketing automation has been broadly shown to increase revenue generation for companies about 40%. A big part of online marketing is the pay-per-click (PPC) process. The competition to appear on the first page in a sponsored search is fierce. This is why the more specific (yet still effective) a keyword the better for attracting the right kind of consumers with the smallest cost on a business’s part. This is another reason it’s important to get to know your customer as an individual. What specific keywords do they use to find your unique business? The more uncommon but specific to you, the less you pay for PPC and the more return on investment you get. Automated marketing helps you see what those keywords are but it also helps you see the best times to increase or decrease your bid. Are certain keywords more popular at noon than at night? Change your bid accordingly and you maximize return on investment. 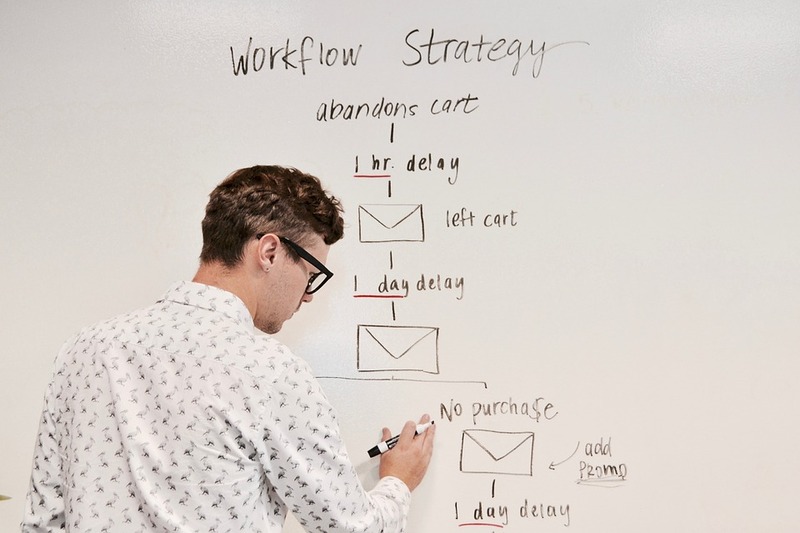 Introducing marketing automation to your business can be a big decision and there are some challenges that can arise, especially for small businesses. Of the companies that Jena and Panda studied who did not use marketing automation, 43% of them cited a limited budget as one of their reasons. We’ve discussed earlier in this article the options available for small businesses with a limited budget, such as Hubspot’s free CRM software. Since, if you’re a smaller company, your business is still growing, it’s best to stick with more simple options that cost less and upgrade later when it’s more necessary. Others cited a lack of skilled manpower as one of their reasons for not using marketing automation. As marketing automation becomes more common and necessary, more resources pop up for beginners (for example, this article). Not every business owner is an expert in marketing automation but many of them seek experts to help them use it nonetheless. This is a solution for the 45% of businesses that cited a lack of time for implementing automation software as well. Studies have shown that in the long run marketing automation is more beneficial to businesses than not, despite the possible obstacles. Often, marketing automation is, in fact, necessary for businesses to be more easily discoverable online and to survive in competition with bigger businesses. Thankfully, there are options for businesses with limited budgets even when it comes to finding experts to help manage your marketing automation. It’s best to find a combination of automation software and expert advice that works for you and your businesses. Google is the single most used search engine in the world. 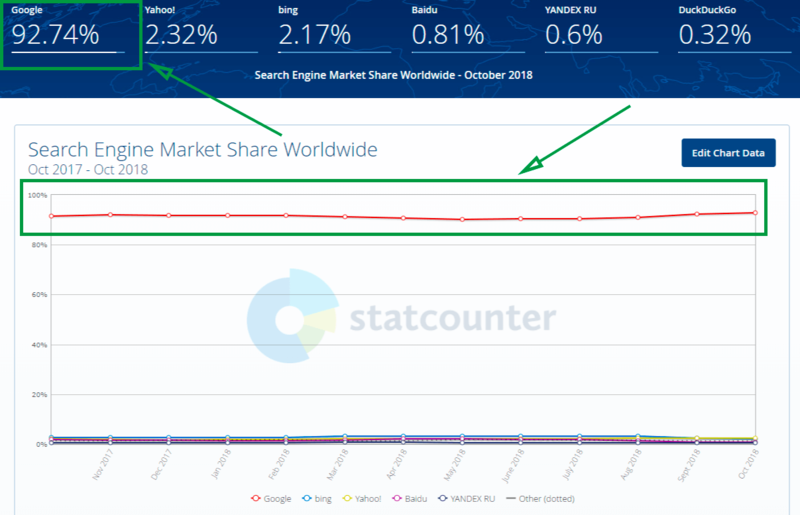 According to StatCounter, between Google, Yahoo!, Bing, Baidu, YANDEX RU, and DuckDuckGo, Google is used 92.74% of the time. Trailing in second is Yahoo! at 2.32%. Businesses need to try to understand how the Google Ads program works. At its center, Google Ads is dependent on PPC and uses all the automated marketing strategies and programs we’ve discussed so far. Keywords, campaign management and bidding choices all influence how well Google Ads will work for a business. A study done by Saida Zainurossalamia Za and Irsan Tricahyadinata from Mulawarman University found that using Google Ads increased the number of visits on websites, increased the number of customers and increased the sales for the businesses they studied. Some businesses, like IT WORKS, increased sales by 200%. 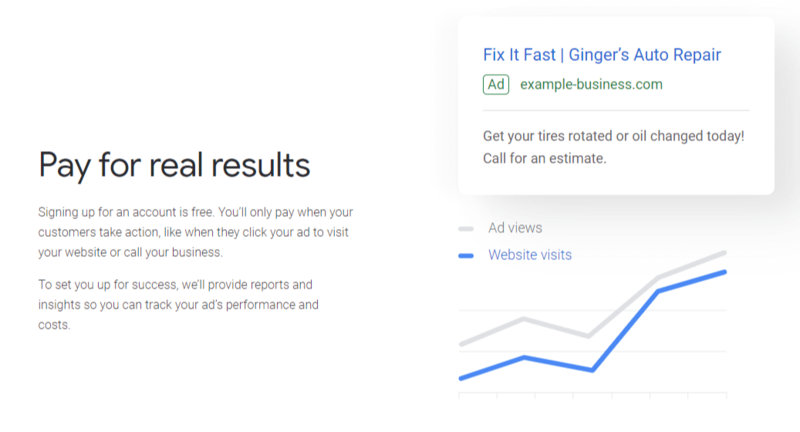 Though IT WORKS is likely part of the “very successful” category compared to most companies who were “somewhat successful,” their success shows the possibility of marketing automation through Google Ads. Google Ads is a necessary program for those who are interested in getting started in marketing automation. 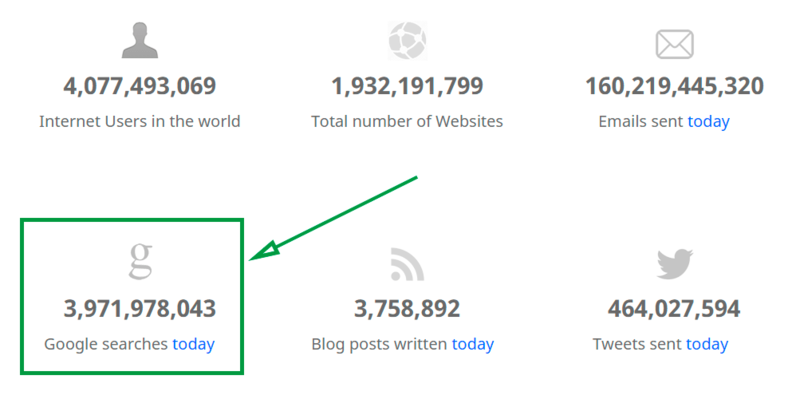 Internetlivestats.com reports that more than 3.5 billion searches happen on Google a day. 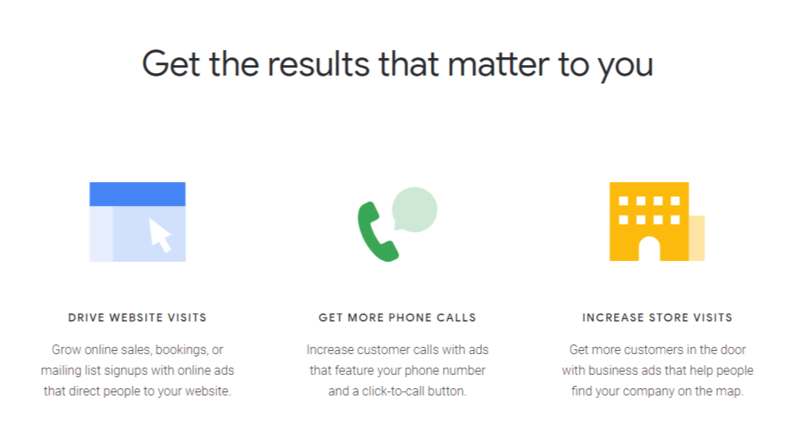 The numbers show it’s in your business’s best interest to be discoverable on Google. They also noted that certain strategies were necessary for success, including choosing the right set of keywords, increasing Ad rank, creating attractive advertisements and letting “AdWords [now Google Ads] automatically set the bid to increase conversion to achieve the set goals.” This means letting automated marketing increase bids for keywords that are working well or increasing bids to ensure your ad is on the first page. Clearly, the most successful companies used marketing automation and used the best marketing strategies available to them. Google’s Ads Help website lists common ways to use their automated rules, including scheduling ads, controlling keywords and budgets, and scheduling and adjusting bids. 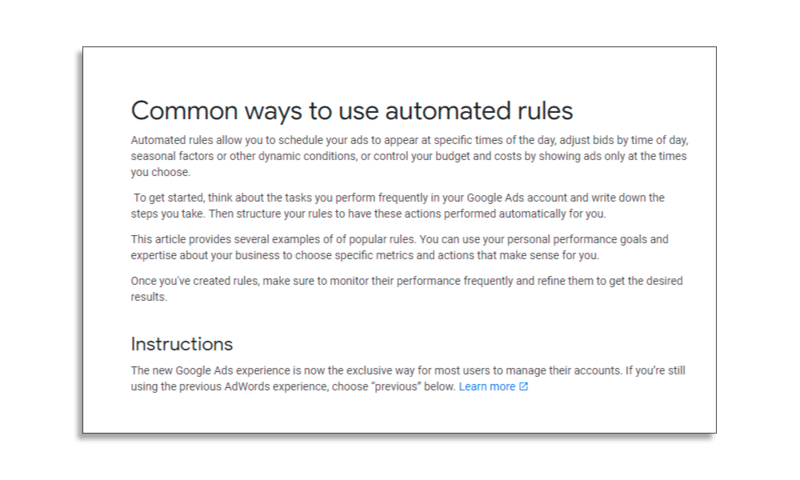 The common rules listed are some of the most important automated marketing strategies discussed in this article and Google’s explanations are useful if you’re struggling to figure out the technicalities of automated marketing. Once you’ve got the technical part down, you can apply the strategies that will help you use automated marketing to its full potential, specifically through the most used search engine in the world. If you’d prefer not to have to learn the technicalities, there are marketing experts who can help you manage your marketing campaigns and automation software. In 1998, Professors Randolph Bucklin, Donald Lehmann, and John Little predicted marketing decision-making would be automated by the year 2020. They were right in a lot of ways—parts of online decision-making have become automated. It might have all occurred faster than they expected, though. Here we are in 2018 and a lot of what they predicted for 2020 is now old news. It has taken over most of the online marketing and is becoming essential knowledge for marketers and businesses alike to be familiar with. Marketing automation is constantly changing and improving. To succeed, businesses need to keep up and continue adapting to the online world. Getting started can be the hardest part but once you’ve done so, it’ll be easier for you to keep up with the inevitably changing times. Hopefully, this article has provided you with marketing strategies that will help you take full advantage of marketing automation and given you enough resources to get going. Remember: much of marketing automation is gathering information and using it correctly. The information will direct you in the rest of your marketing automation decisions. What keywords do you keep and which do you get rid of? How much should you bid for your pay-per-clicks? What are your potential customers looking for? You decide what decisions your automation software will take! Were these marketing automation tips useful? If you liked this post, take a look at our article on How to Create Effective Google Display Ads, which will help you strengthen some of the strategies you learned here. Check it out!